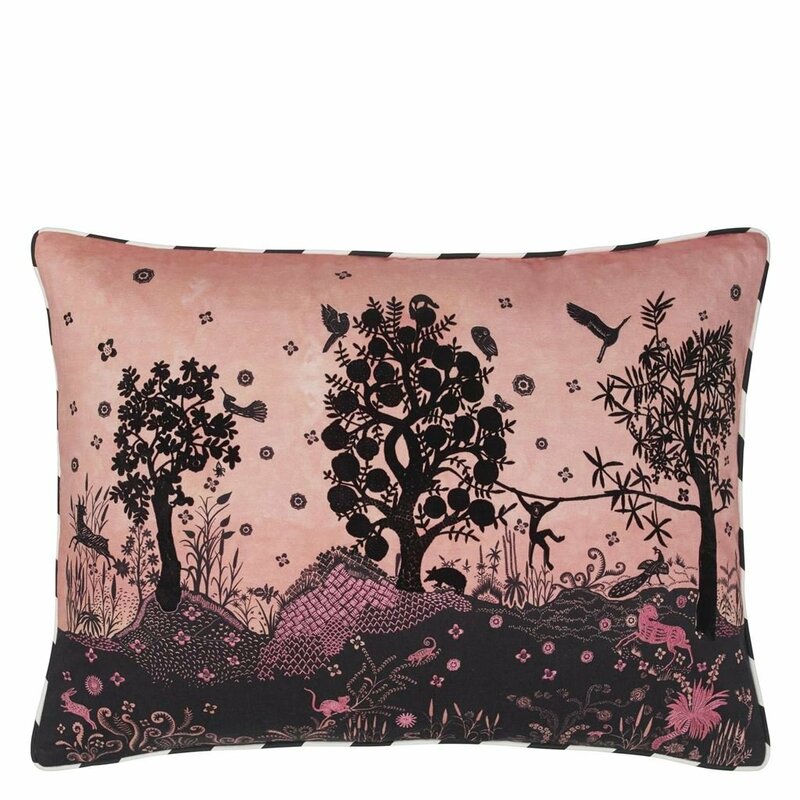 Silhouettes of trees and exotic woodland creatures create pure fantasy in this stunning cushion from Maison Christian Lacroix. This stylish black and pink cushion is printed onto cotton with flocking and embroidered highlights. A graphic pattern is printed on the reverse. 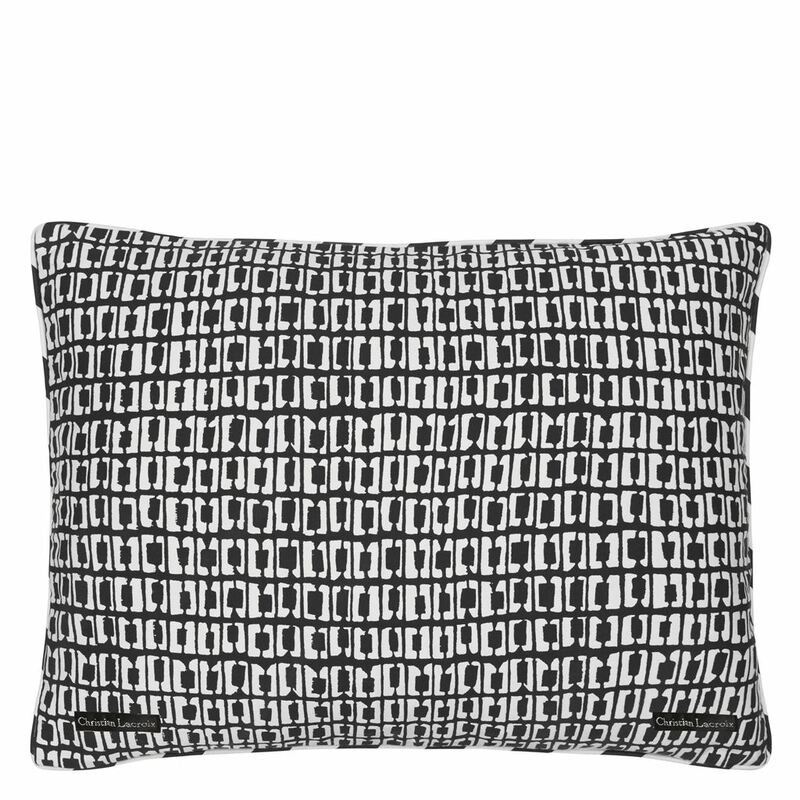 This large cushion has a black and white cotton piping. Why not coordinate with our best-selling Varese velvet cushions?